Additionally, the conference this year will offer a session that you wouldn’t find at most stem cell conferences: “An Artist’s Approach to Data Presentation,” by renowned artist Jason Salavon. 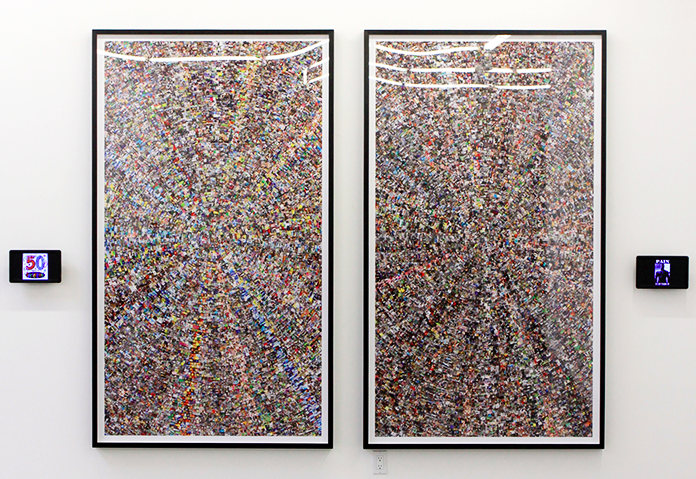 Using software processes of his own design, Jason Salavon generates and reconfigures masses of communal material to present new perspectives on the familiar. Though varied in form, his projects frequently manipulate the roles of individual elements arranged in diverse visual populations. This often unearths unexpected patterns as the relationship between the part and the whole, the individual and the group, is explored. Reflecting a natural attraction to popular culture and the day-to-day, his work regularly incorporates the use of common references and source material. The final compositions are exhibited as art objects, such as photographic prints and video installations, while others exist in a real-time software context. Salavon’s work has been shown in museums and galleries around the world. Reviews of his exhibitions have been included in such publications as Artforum, Art in America, the New York Times, and WIRED. The two photos in this post are of Salavon’s 2012 piece entitled Good and Evil ’12. The photos, as well as the piece descriptions at the end of this post, are from his website: http://www.salavon.com. We look forward to welcoming Jason to the NextGen Stem Cell Conference. A diptych of diametric opposition – statistically speaking. 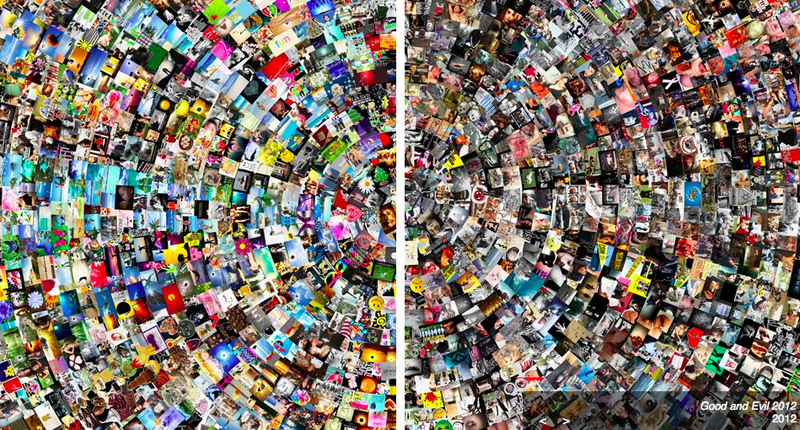 The left panel contains ~25k thumbnail pictures (arranged a la sunburst) gathered through image search for the 100 most positive words in English. The right panel is structurally isomorphic to the left, but sources the 100 most negative words.